How do you measure what you want? Two brothers. Two goals. One set of goals was specific based on winning, while the other was happy to get by. This is a true story about me and my big brother. He was the one with common sense and drive. As any kid, I couldn’t wait for the school bell. But it wasn’t to go play. It was to go to work. My days of long sessions of window gazing and day dreams were focused on a career already decided. My passion came true at 14 years old with my first job on the radio. Looking back, school was a short chapter. My real obsession for knowledge was sparked by my determination to win in my career. The process of goal setting never came to mind at my young age, but it was just that. A definite purpose pulled me into my future. There are many articles based on the technical steps in goal setting, this story is about the journey. That should be no big surprise as we all know that planning is critical to achievement. The challenge comes in developing a real plan to get real results. This consciousness of how we execute the daily tasks needed to reach a goal is far more important than making a list and checking off items. Many of our articles focus on the mechanics of making the various long term and short term goal lists. This article is to focus on our attitude we bring to the completion of each step. On that, I did do what was needed to not get set back and repeat a year. The question for all of us now comes down to the quality of our efforts in all tasks; both big and small. What will you do when you run out of goals? He took his passion and made it real. As a young man, he loved aviation and served in the Marine Corps in Vietnam where his duty taught him the ins and outs of logistics. As Fred Smith entered the age of, “What’s next?” he found a long list of charities and organizations to keep him busy. Not at all like Warren Schmit, the fictional lead character brought to life by Jack Nicholson in the critically acclaimed and box office success movie, About Schmit. The story is about Warren Schmidt who is forced to retire from his position as an actuary with an insurance company. After a retirement dinner, Schmidt finds it hard to adjust to his new life, feeling useless. After a return visit to his old office, he leaves the building and sees the contents and files of his office, the sum of his entire career, set out for garbage collectors. Schmidt is overcome by loneliness. He stops showering, sleeps in front of the television, and goes shopping with a coat over pajamas to load up on frozen foods. On a footnote to this film, anyone who wants to be an actor must watch Jack Nicholson. The final scene is one of the best examples ever of an actor telling a story with no words, no making faces, just real emotion. He won a Golden Globe Award for best actor in a drama. Back to the purpose of this article; no one wants to end up like Schmidt. So, what do we do when we run out of goals? If you could live your life over and go back to 12 and live your life over, would you do it? If you could have any career you want, what would it be? If you could change places with any person on earth, who would that be? If you could live in any part of the country you would want to live in would you move? Earl stated that of the numerous studies he had researched on the questions, the vast majority of those surveyed said no. Why when given the chance to change why do so many resist? A friend once called his job a position with ‘golden handcuffs.’ Working hard to a point where the risk of change weighs heavier than the reward. The fact most miss is, most people are all like Schmidt in the movie. Play by the rules, stick to a profession, and one day see your life’s work on the curb with the next stop; the garbage dump. Earl stated in his program that scientists, the self employed, artists, writers, and musicians, seem to escape the peril of wondering what’s next. There’s always a new discovery in science, another song, story or painting. But, what of the insurance actuary like Schmidt. Files in the garbage. What do you love to do as a hobby? Would you make a career of that hobby if it paid? What do you have to lose if you act on your dream? My father became a great example of a person who never ran out of goals. As a young man, he sang with a big band, and in the Army he was the entertainment direct at Pearl Harbor before it was bombed. After the attack he was a Ranger. He was a good example of what’s next. Do what you love. He did just that until he was ninety-five, so he perished before his dreams. The state trooper flagged the pickup to stop. “We’re not taking chances,” he answered speaking the man’s name in a consoling voice. 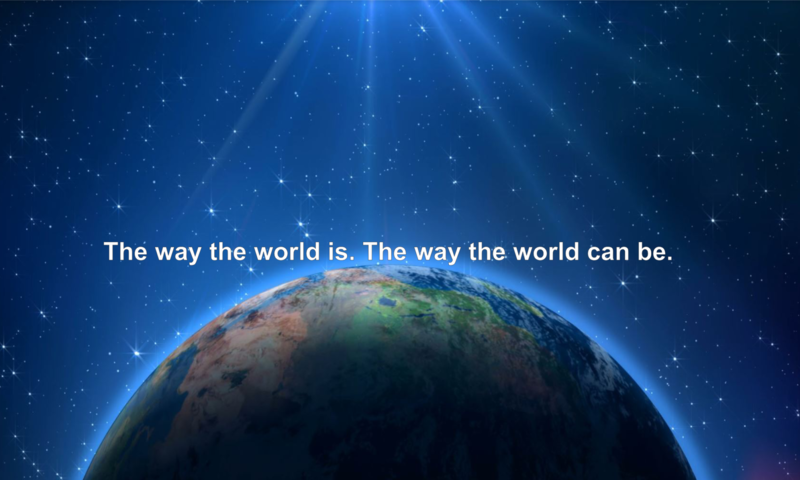 The way the world can be in the future drives us. All humankind, back to the Stone Age, has stargazed wondering what’s next, but the science of predicting the future is relatively new. One of the first advocates for a study of the future was H.G. Wells. After success in 1901 with the best seller, Anticipations, he gave a lecture in 1902 titled, The Discovery of the Future. As he spoke, Wells anticipated what the world would be like in 2000. The lecture became another best selling book that accurately forecasted trains and cars moving the majority of the population out of cities to the suburbs. In the lecture, he argued for a “knowability” of the future. He said there are two divergent types of minds. One mind judges and states the importance of the past and the other mind finds it more important to focus on things that will happen in the future. You may be aware of H.G. Wells as the author of War of The Worlds. The novel’s first appearance in hardcover was in 1898. It has been made into numerous movies and was the subject that panicked all America in Orson Welles 1938 radio broadcast that listeners believed to be real news. His other science fiction novels include The Time Machine, The Island of Doctor Moreau, The Invisible Man, and he was nominated for the Nobel Prize in Literature four times. Tragedy was a motivator for Wells. His bright future didn’t look so bright in 1872 when an accident in 1874 left him bedridden with a broken leg. To pass the time he started reading books from the local library, much the same way a young Earl Nightingale found his future. Forecasting has been defined as the process of estimating outcomes in uncontrolled situations. So, how can we empower ourselves to take advantage of the pull of the future? Probability requires some quantification to determine a confidence level that a specific event will happen. There are enough of mathematical formulas to send us soaring into the oblivion of confusion. Governments rely on this to determine regulations, taxes, and all sorts of ways to control our lives. Insurance underwriters use these models to figure out how much the rest of your life is worth. Strategic Foresight is a planning tool to enter the realm of the study of the future. Strategic planning requires analysis, but statistics put aside, it comes down to forecasting possible futures, probable futures, and an action plan to move in that direction. Strategic foresight is being hailed in corporate practice to grow both businesses and personal lives. Earl Nightingale wrote a great deal about creating a better future. In one of his audio segments in The Secret Advantage he even forecasted events that may happen deep into the 21st century. It is interesting to see that some things have already come true. Most of his practical advice on the future did not rely on complicated math or some sort of detailed matrix, but two simple lists. Call them bucket lists if you wish. Long range goals could be the big things like cars, homes, travel, college funds, or building a legacy. Short term goals are things you can get in a relative short period of time such as getting a raise, making a sale, starting a business that will in turn serve the long term goals. In the short term, do not confuse ‘wants’ with ‘needs’. Needs are required items such as having a job; not a goal, but a necessity. In the meantime, dig deep into the core fundamentals on The Secret Advantage and you will find out what needs to be done to get anything you want. Young men with no hair bolt out of bunks ejecting their greenish blankets. It had been many years since the first Marines landed on Paris Island in 1861. Rumors of intense tough training over all those decades became clear to the young recruits in that line. The young man calling cadence and menacing the young troops would be destined to train millions of people worldwide how to become successful and fulfill each destiny. That morning before the great war, the young man with the big voice was Earl Nightingale. Soon on another morning, Earl watched the sun begin to rise over the Pacific as he stood on the deck of the USS Arizona. Buzzing of the foreign fighter planes parted the clouds and bombs fell when America’s destiny changed on December 7, 1941. The huge devastating explosion knocked Earl off the deck. A fellow sailor pulled him to safety. Earl was one of only a handful of young Marines to survive the explosions on the USS Arizona during the attack on Pearl Harbor. Today the company he co-founded, Nightingale Conant, has taken the best of Earl’s life work to release a new updated Earl Nightingale program, The Secret Advantage: CORE Fundamentals to Get Anything You Want. Earl also hosted the most widely syndicated radio program for over thirty years. The story how that happened is amazing. Owning an insurance company is a highly lucrative occupation. Big bucks can be made, but is selling insurance a true calling? It is for some who feel the need to help provide protection and financial planning. However, many people full of hope and sense of purpose are attracted to insurance sales as an occupation that is very useful to providing for family and security when the commissions roll in. There is nothing wrong with rising to responsibility in any line of work in any occupation. That does not stop the hunger. As a young man, Earl Nightingale took that path. He had been poor. He had served as a Marine. And, he became a successful announcer in Chicago. Fate stepped in once he started an insurance agency and was successful. Earl decided to take an extended vacation and the sales manager asked Earl to record a message to motivate the sales people while he was away. The idea made sense to Earl. He sat at his typewriter. Blank pages have a way of staring back. Words flew and filled the pages. He gave the recording to the sales manager and in Earl’s absence, people for the first time heard, The Strangest Secret. Word got around and before long other companies wanted the recording. That action launched the personal development audio publishing industry. Since then, the record sold over a million copies making it the first spoken word record to go gold. In the pursuit of an occupation, Earl Nightingale discovered his true calling.